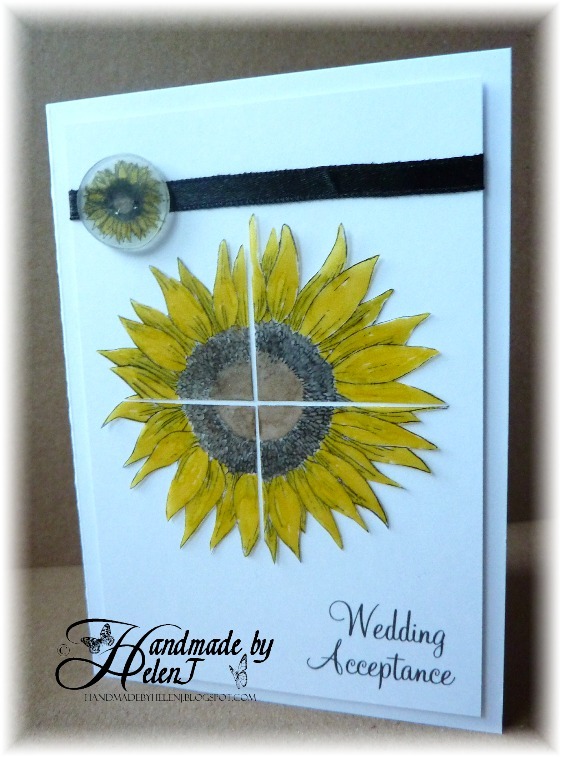 A recent request for a wedding acceptance card for a sunflower-themed wedding had me baffled until – the day after the request – I visited a craft show & found some sunflower stamps on the Inklyicious stand at a reduced price! 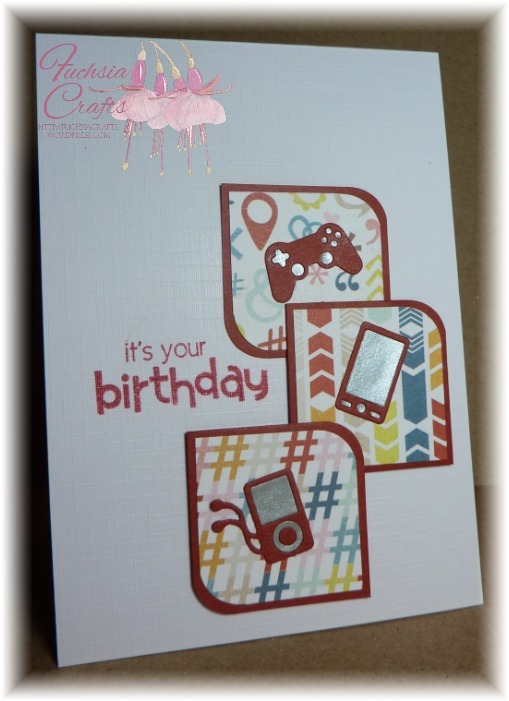 Then the sketch over at Clean & Simple Stamping caught my eye, along with the vellum-themed challenge over at Cards & More. 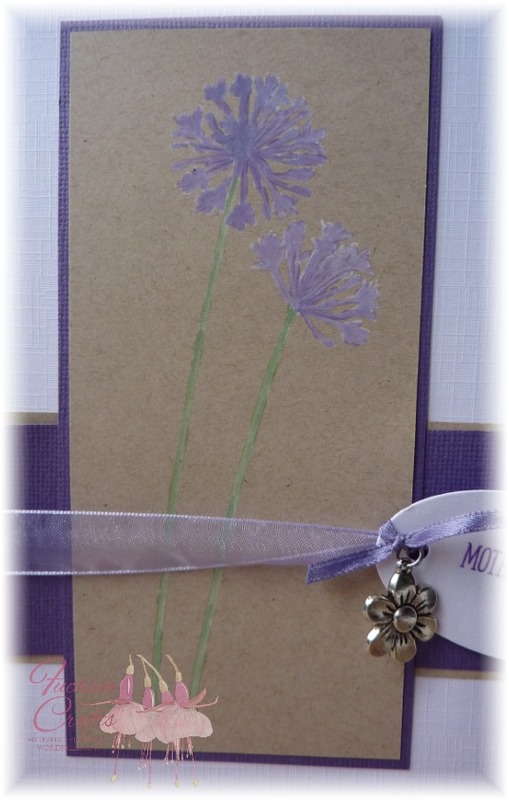 The button was the medium sunflower in the set, stamped onto shrink plastic the cut out with a circle nestie die & heated to shrink it. The greeting was computer-generated in AT Mahogany Script. A trip to a craft show at Leigh yesterday with a very short shopping list turned into a spending spree because Inkylicious had a stand there for the first time. This birds stamp was one of the ones I bought, and I pictured this card in my head as soon as I saw the stamp. 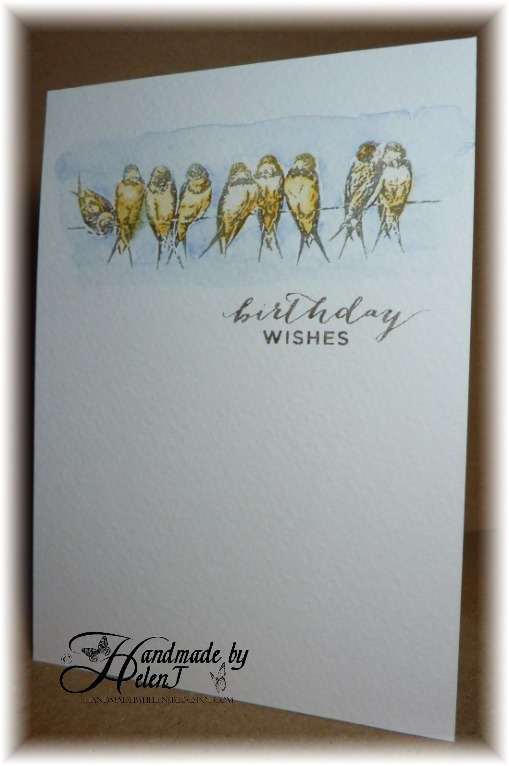 It’s simply stamped in Versafine Smoky Gray then watercoloured in Aquamarkers in Gold Ochre & Frost Blue. 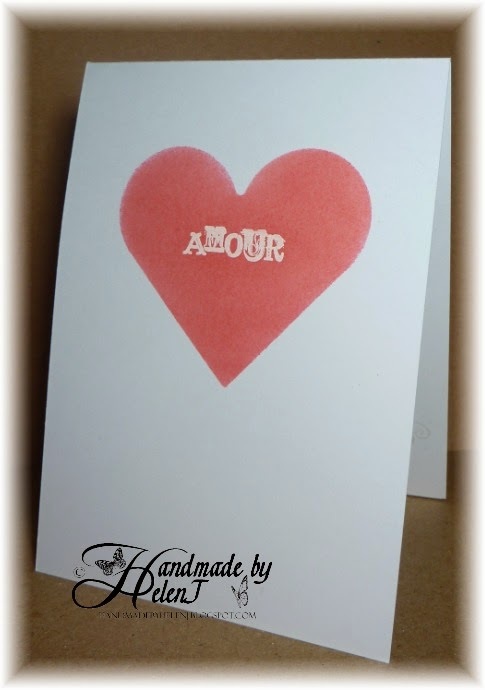 The greeting, stamped in the same ink, is by Paula Pascual. 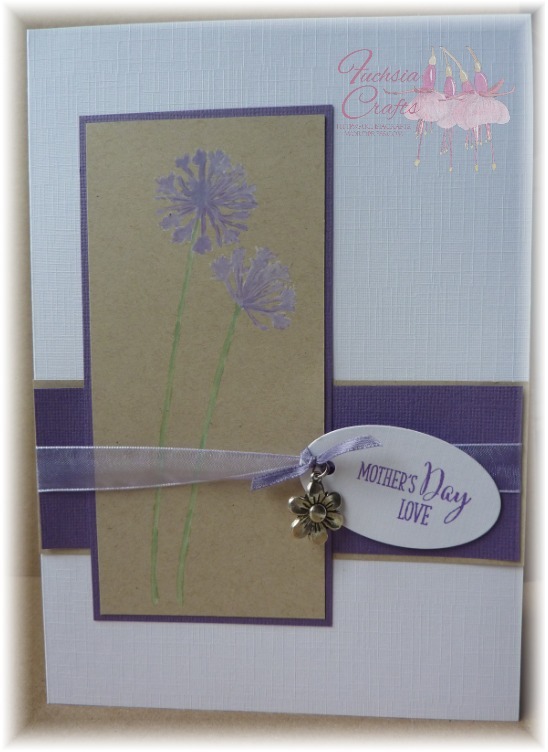 I’m entering this into this week’s challenge over at Less is More where the theme is Wings.